Here You Leave Today and Enter the World of Mickey’s Not So Scary Halloween Party! 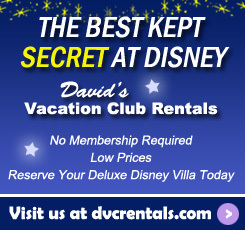 The first time I experienced the magic of Disney was when I was a child back in 2001. The minute I walked through the gates I had a huge smile on face and fell in love with all the magic, characters and laughter in the air. 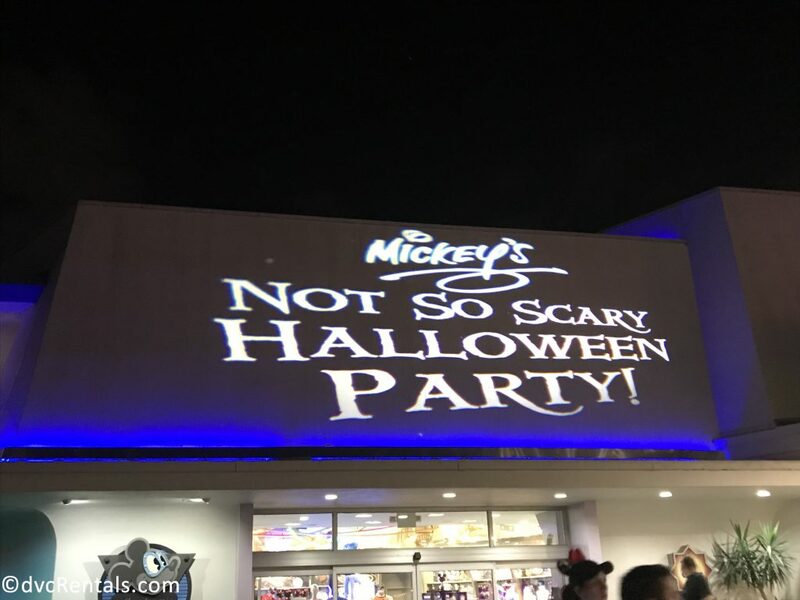 My favorite part of my entire trip was getting to experience the Mickey’s Not So Scary Halloween Party! 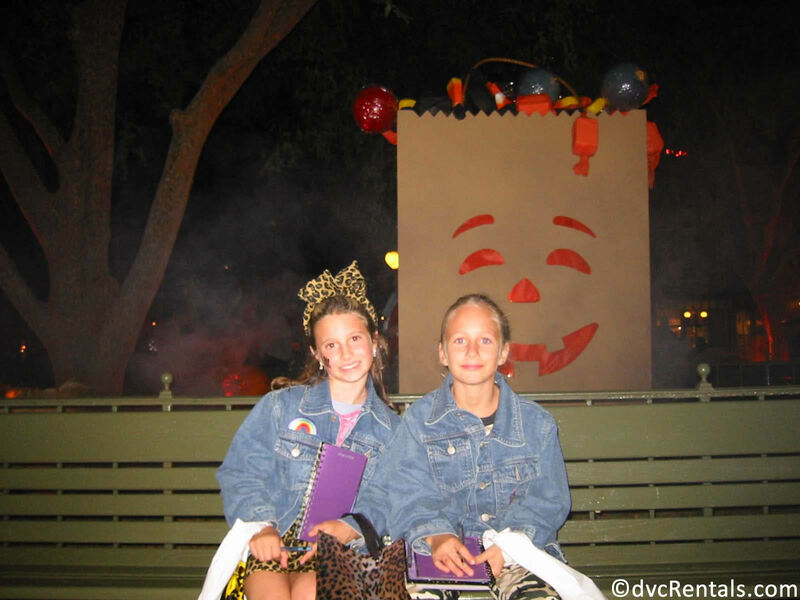 Back in 2001, the MNSSHP was only held for 5 nights in October, whereas now due to its popularity, the party is held between August to October 31 with over 20 nights available. 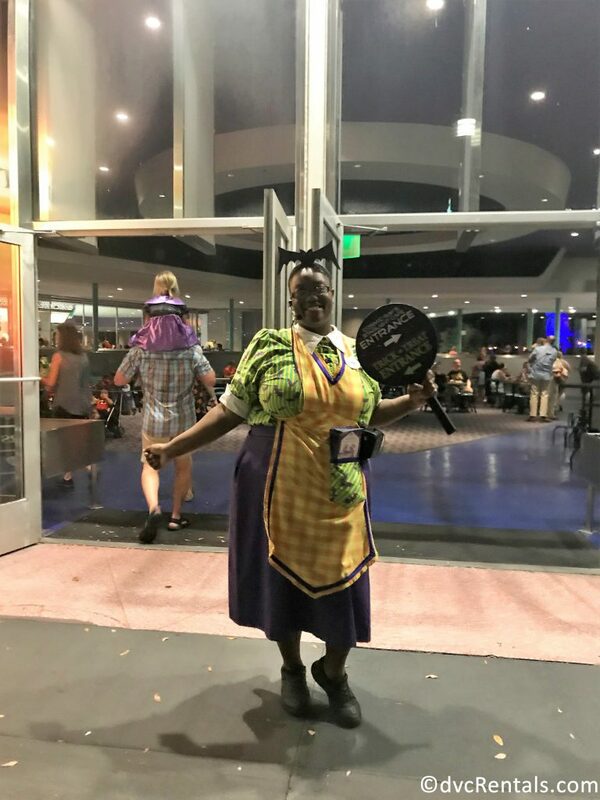 The one thing that hasn’t changed over the years is the ability to dress up as your favorite character and get to go trick-or-treating. 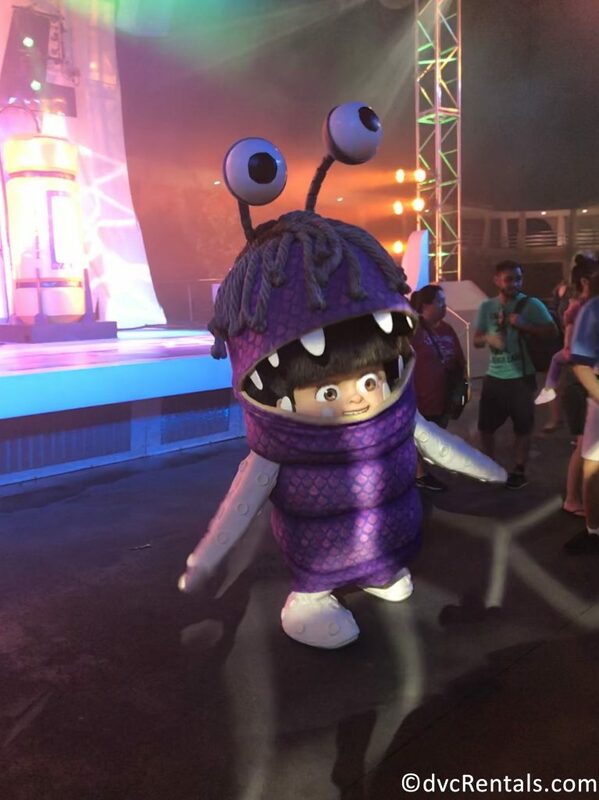 Regularly, Disney has a policy in place that if you are over the age of 14 years old, you are unable to explore the parks in costumes. However, they make an exception the night of the Halloween parties where any child, adult or service animal can be dressed up and join in the fun (I’m the mouse on the left). Personally, I think one of the best parts of the party is deciding which costume to wear and was happy to hear that this is one rule that has not changed over the years. Although they do occasionally update the restrictions for the costumes, trick-or-treating is open for all to collect as much candy as possible. One thing I have learned over the years is Disney does not hold back when it comes to theming or decorations. Some of the decorations I remember from 2001 are the giant treat bag of candy and Cinderella’s carriage covered in lights, surrounded by hay bales. 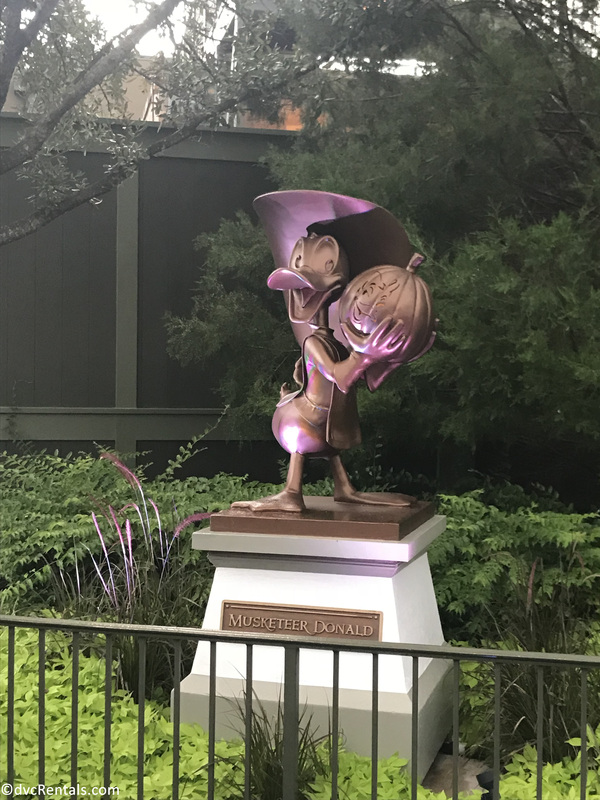 Coming into the party this year they not only had the classic fall decorations such as scarecrows and pumpkins on the light posts but also had some cool Halloween versions of the Disney classics such as Donald, Duck, Mickey Mouse, Minnie Mouse, Goofy, and Pluto. 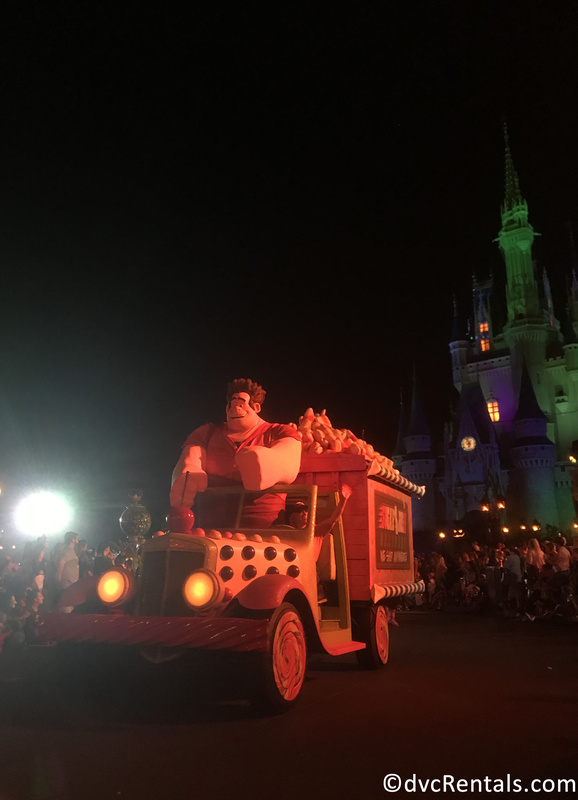 One memory that sticks out from my first MNSSHP is the character interactions. 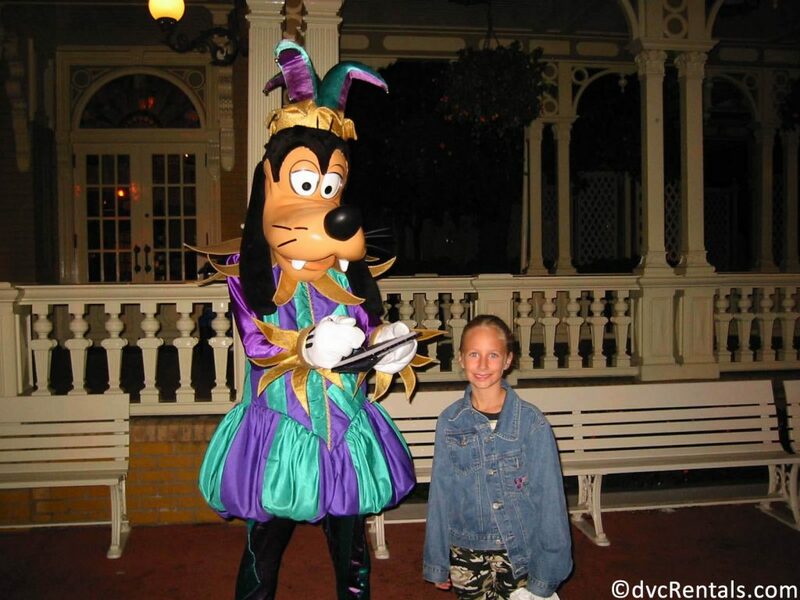 I remember meeting some of my favorite characters, such as Goofy dressed in a Jester suit and seeing Tigger in a Skeleton costume. It was something so unique and fun, and I talked about it for weeks! 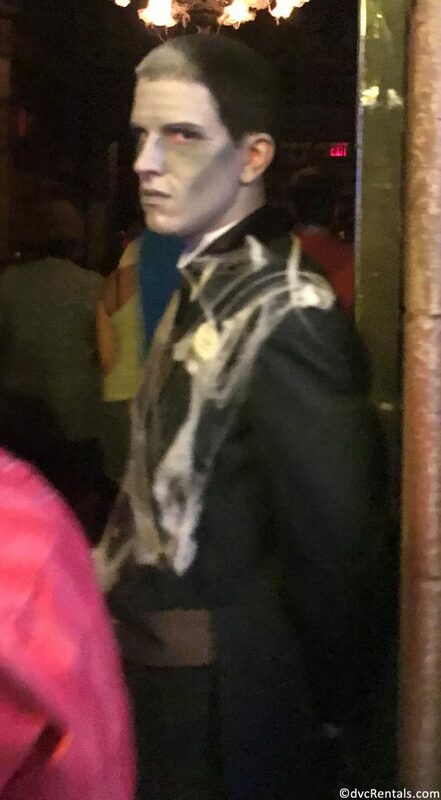 This year, when we arrived at the party, the first thing I looked for was the characters and what new costumes they may be dressed in. 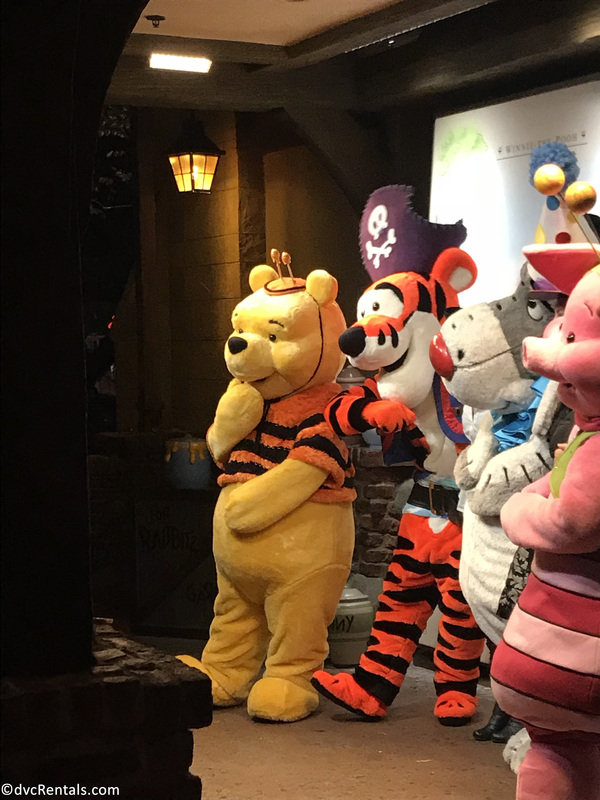 I got to see Tigger and he was with all his friends from the Hundred Acre Woods, and they were all festive as well! 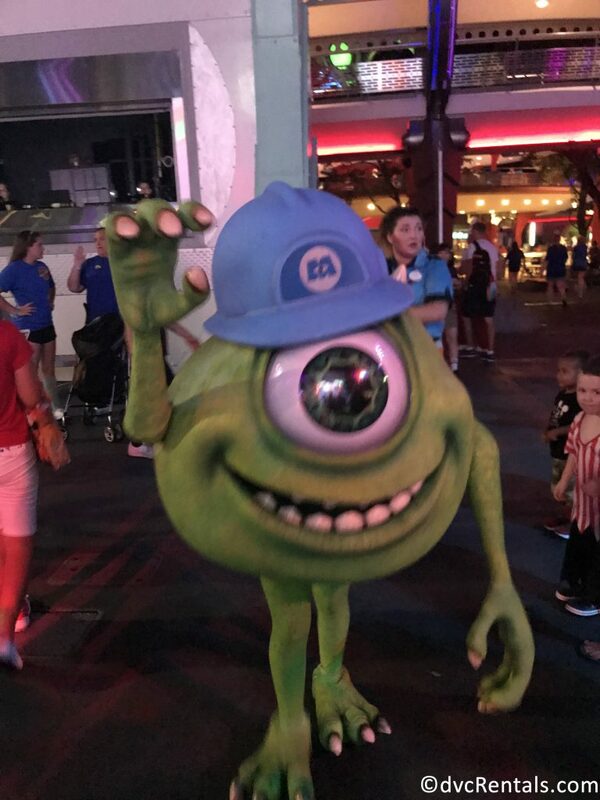 I also learned that they now have special characters out for some rare meet and greets such as Jack Skellington with Sally, Elvis Stitch and so much more. When I was younger I was one of the pickiest eaters that you would have ever met! Thankfully, I have grown out of that and can honestly say that I love most foods. 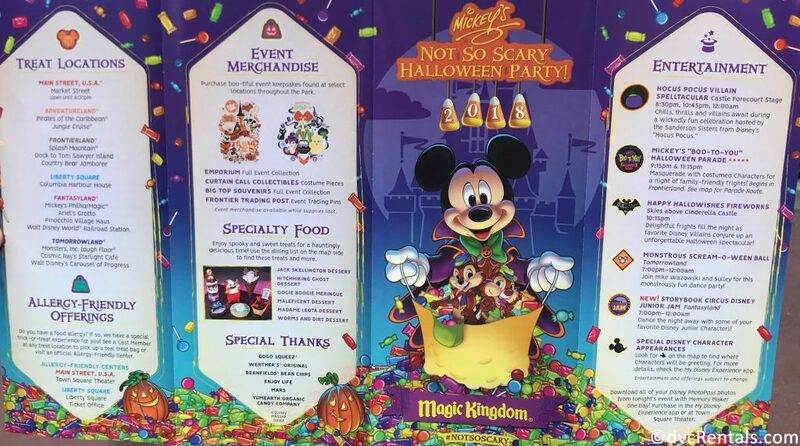 Disney has always been known for its delicious food and the Halloween Party is no different. 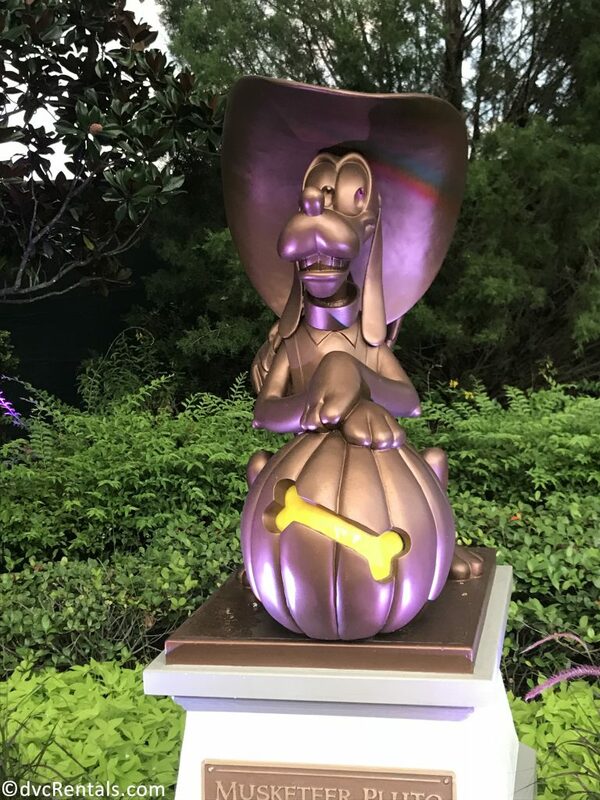 Each year for the Halloween parties Disney comes out with new themed desserts and foods. Even though I never experienced any specialty foods in 2001, we certainly made sure to partake for this trip. All of the options were so drool-worthy that it was such a hard decision to narrow it down to what we would want to try! In the end, the decisions were made based on our favorite villains. 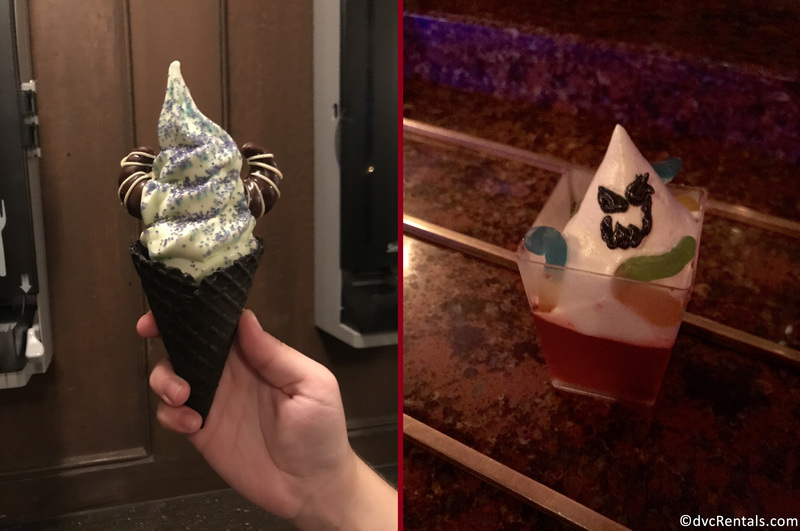 I devoured the Oogie Boogie Meringue, which is located in Gaston’s Tavern and fellow team member Stephanie selected the Maleficent Dessert which can be found in Storybook Treats. I wish that I had tried the Jack Skellington Cake Push-pop or one of the themed cupcakes from the Main Street Bakery, but that is something I will just have to add to my list for the next time. What does it take to truly pull together the perfect Halloween Party? Well as a child it was the Boo-to-You Parade. 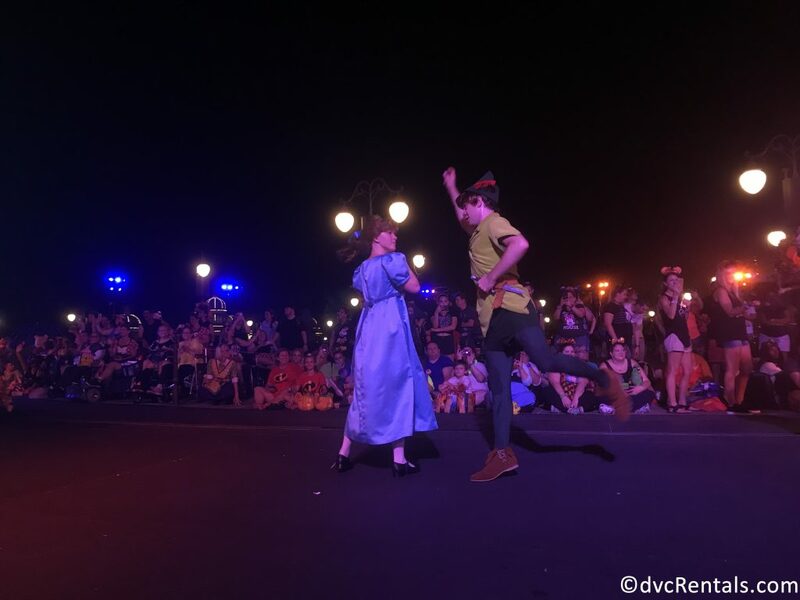 Seeing all of my favorite characters Tigger, Pluto, and Mickey Mouse on floats, the villains walking the street, and the wonderful dancing cast members is something you never forget! This year, we made sure to grab a curbside view of the parade and when the Headless Horseman rode by all the emotions flooded in. Though watching the Headless Horseman riding in to start the parade was the same as back in 2001 nothing else was the same. The song I knew was replaced with a new more upbeat modern version of Boo-to-You, and it was a whole new experience. 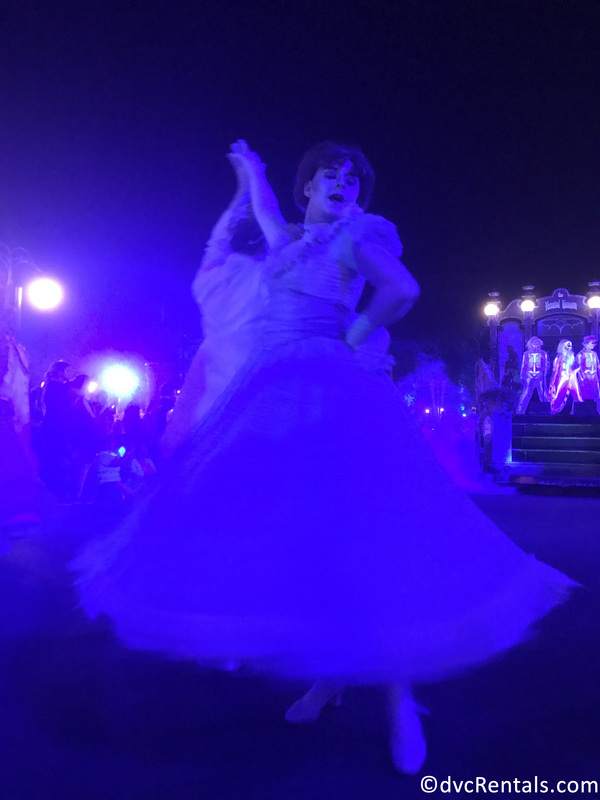 They had different floats featuring Peter Pan, Wendy and the Lost boys and so much more! 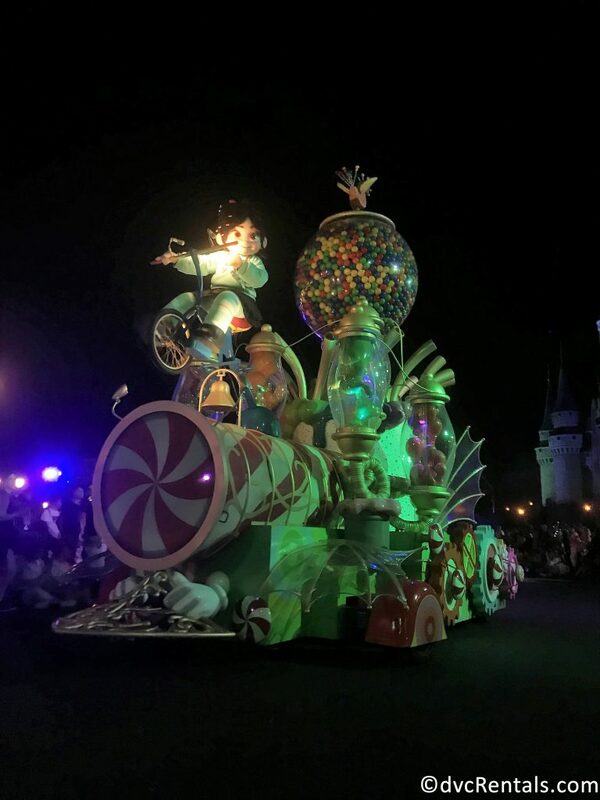 I also thought it was super cool to see that they’ve incorporated the more recent Disney movies by having Wreck-it Ralph and Vanellope as part of the parade. If I’m being honest, I don’t remember any of the special Halloween shows done in front of the castle as a child, but was super excited when I heard about the Hocus Pocus Spelltacular! 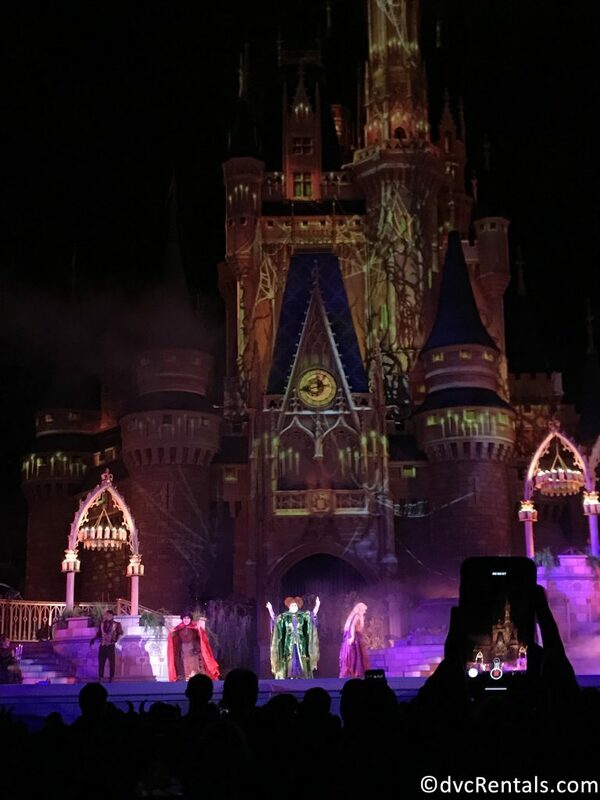 Not only is Hocus Pocus one of my all-time favourite movies but seeing the Sanderson sisters up on stage with all my favourite villains, new and old, such as Oogie Boogie, Dr. Facilier aka the Shadow man, and Hades with the mash-up of all the great villain sings, I could not contain my happy dance! It was truly my favorite part of the entire night. 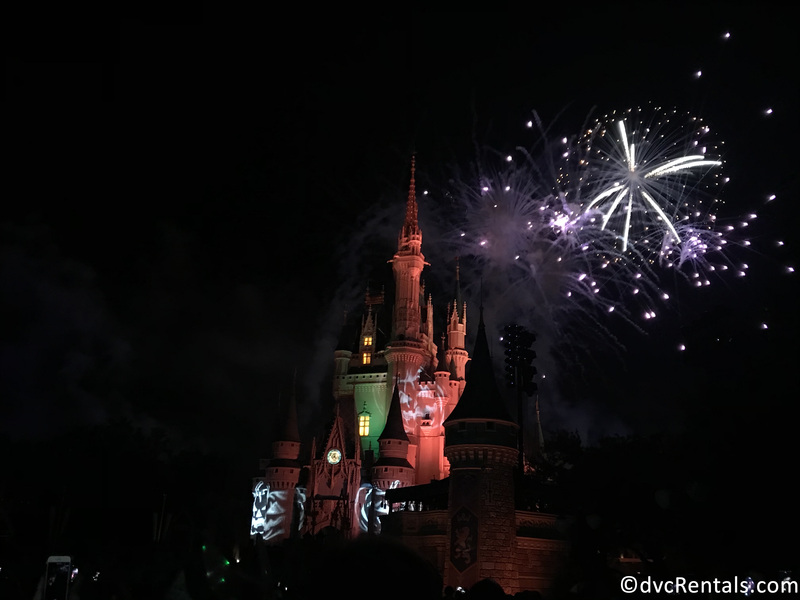 This would be the first time that I would get to see the HalloWishes Fireworks show, as the last time I was at the MNSSHP the fireworks show was called Fantasy in the Sky which then had a three minute addition featuring with the Old Witch, Snow White and the Seven Dwarfs for the party. Once again my jaw dropped at how wonderful this new experience was! 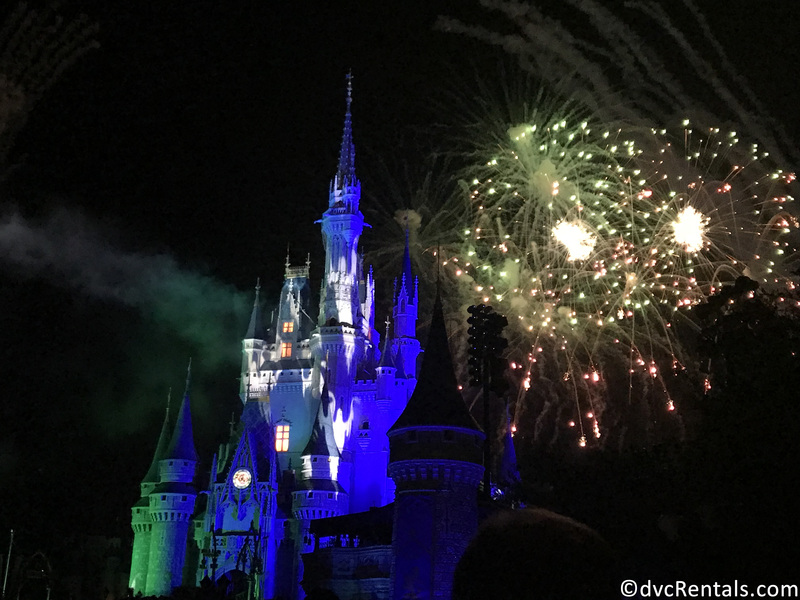 The HalloWishes fireworks are narrated by the Ghost Host from the Haunted Mansion, so not only do you get to enjoy some more modern spooky songs, but they also have projections of the spirits on the castle. 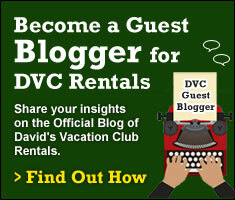 I am still singing along to the songs in my head while sitting here writing this blog. 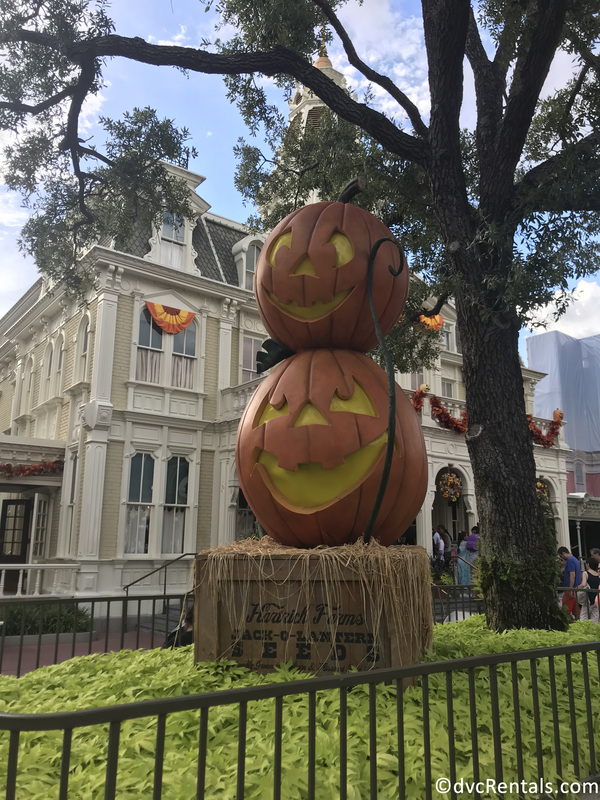 This was the first year that the Magic Kingdom adapted three of its rides, Space Mountain, Pirates of the Caribbean and Haunted Mansion to add that spooky existence to the Party. Something so little can make such an impact. 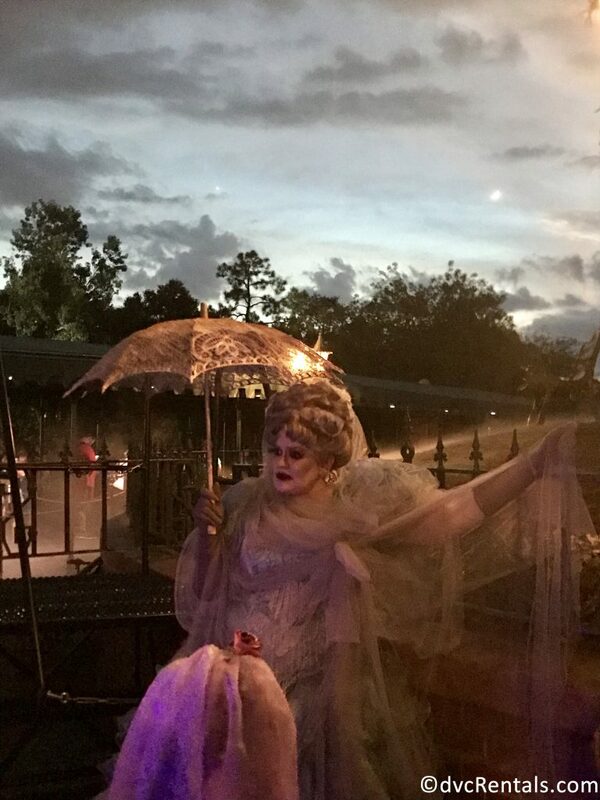 The Haunted Mansion’s cast members were fully painted and dressed as ghosts, and they had some very special ghosts outside of the Mansion that are available to talk to and photo opportunities. Space Mountain was in complete darkness! You didn’t know when you would go up, down or turn. It was an unreal experience that I would gladly get in line for over and over again. 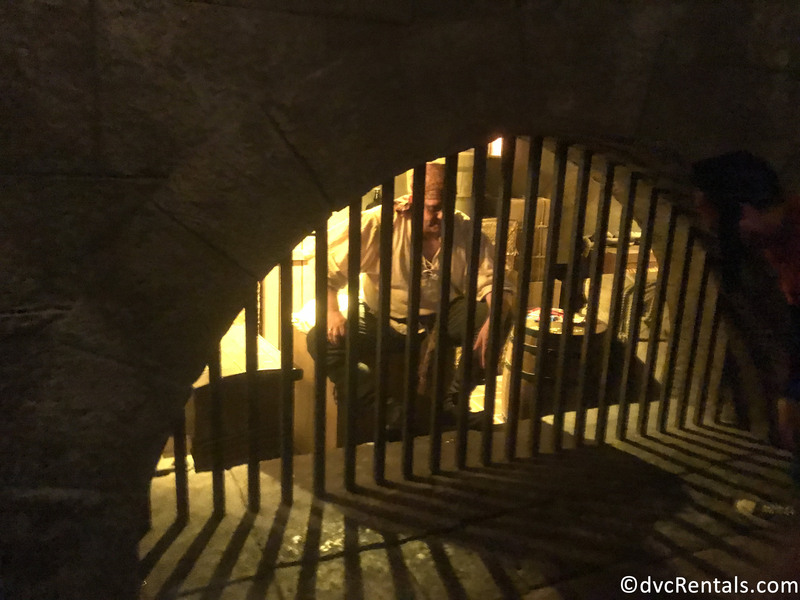 Pirates of the Caribbean also has some cast members dressed as pirates and incorporated into the queue to get onto the ride and on the ride itself. That Gunpowder Pete was definitely a hooligan. 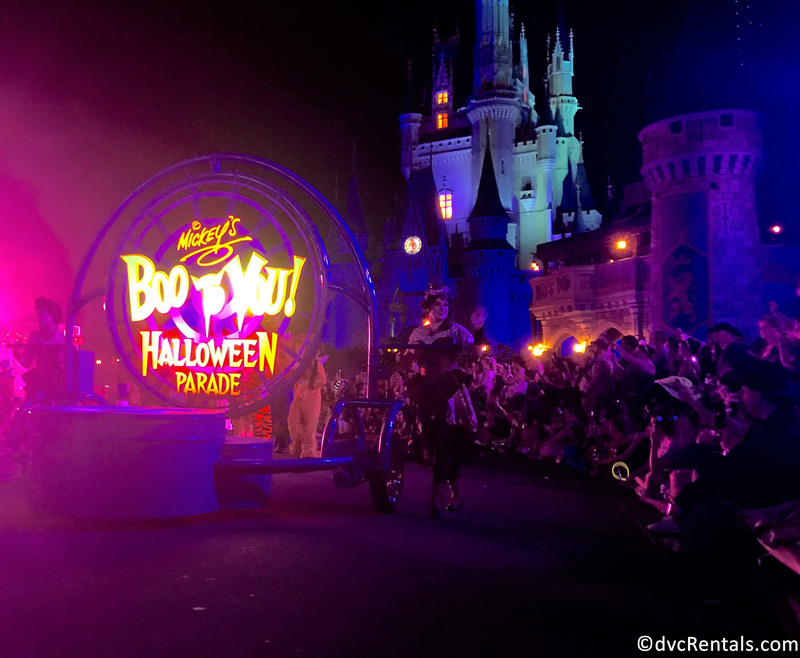 The MNSSHP seems to grow more and more each year with new events such as the Monsters Inc and Villain Dance Parties, adapting the rides to create a more spooky feel to them, new haunted treats, and character experiences. Who knows what Disney will have up its sleeve next year? Over the years I have been to many events and parties, but no one can truly throw a party like Disney can. As a child or an adult, there is something for everyone at these parties, and I think it will always be the best part of my trips! 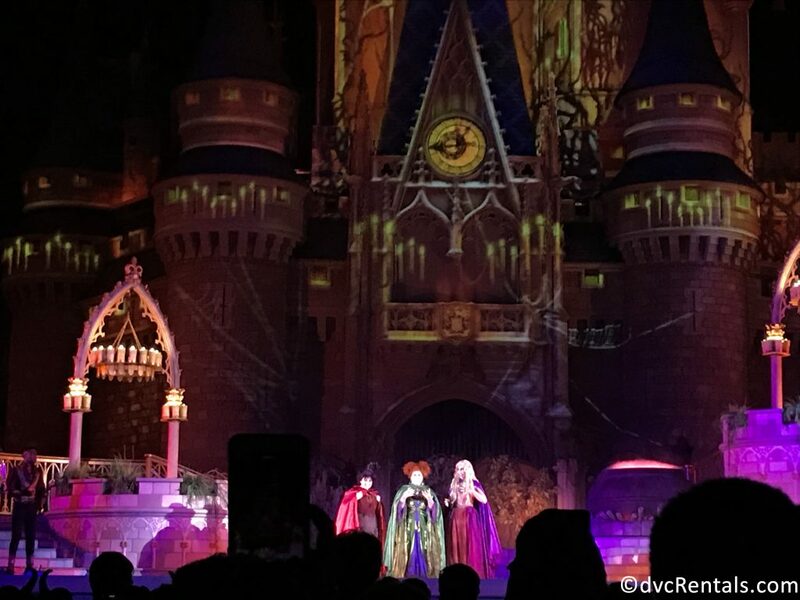 My recommendation is that, Mickey’s Not So Scary Halloween Party should be added to everyone’s Disney Bucket List and if you’ve been lucky enough to attend the party before, I promise that when you go back, whether its been a year or a couple of years, you will have a whole new wonderful experience.